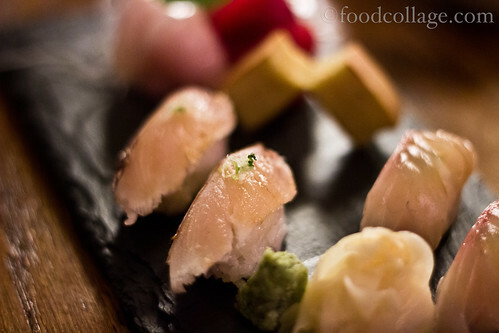 Last summer, I had written enthusiastically about Emilia Romagna, referring to its sushi as the best in town. Emilia Romagna didn’t last long, though for reasons other than the quality of the food. Meanwhile, its soft-spoken but hugely talented sushi chef, Matt Kemp, who had previously worked at Tamari, joined in on a new adventure: Fukuda. As a matter of full disclosure, the owner of Fukuda is my friend. Technically a friend of a friend, but a friend nonetheless. Regardless, I do believe the food speaks for itself. First things first: If you are the bargain-hunting type when it comes to dining out and there is nothing you love more than getting super-sized meals for a few bucks, read no further. You will not like Fukuda. 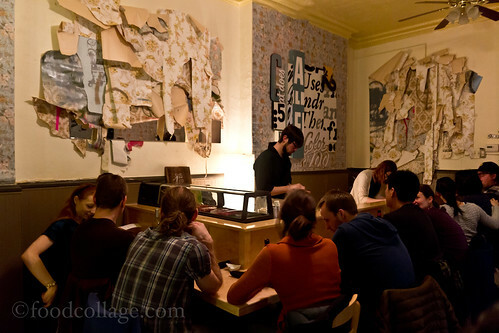 But, if you are the type who appreciates quality over quantity, finesse over monotony, you will find some of the finest Japanese food in Pittsburgh right here in the heart of Bloomfield. 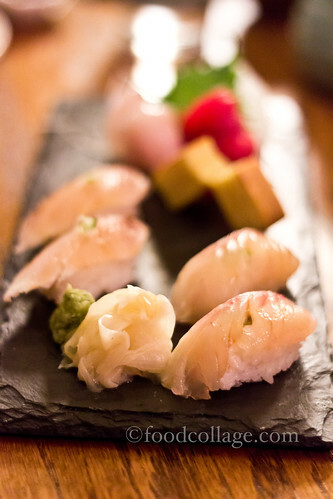 Fukuda offers more than just sushi. 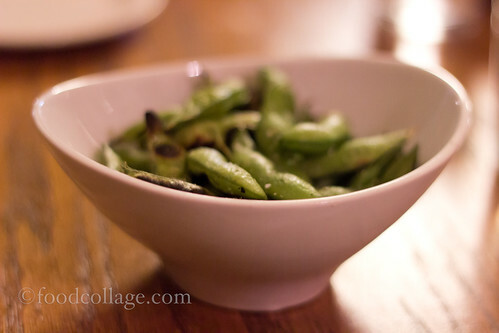 The Edamame, a fairly standard item at Japanese eateries, is grilled here. The Robatayaki, or grilled skewered meat, was well-flavored and the meat cooked just right. 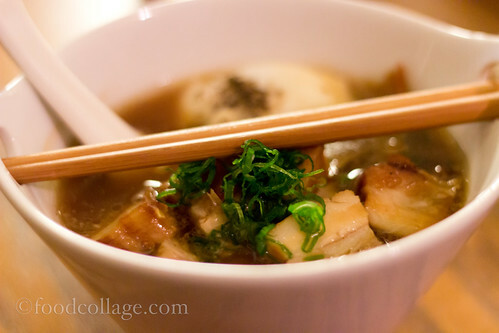 The Ramen, with housemade noodles, pork belly, poached egg, scallions, and young bamboo shoots, was tasty and satisfying. 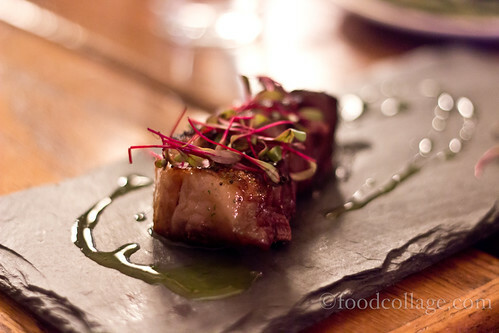 We were also treated to samples of juicy Wagyu Steak, with cilantro oil, yuzu, and bulls blood microgreens. The portions may not be huge, but they sure are fulfilling to the tastebuds. 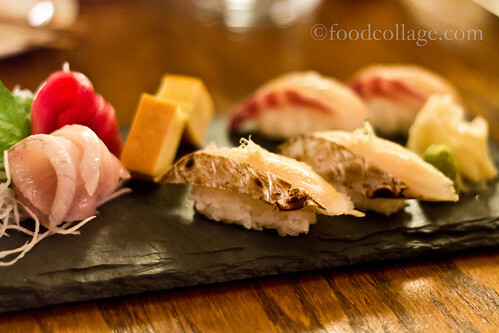 I returned to Fukuda on the only night I was available during Pittsburgh Restaurant Week because the $35 prix-fixe menu sounded incredible. 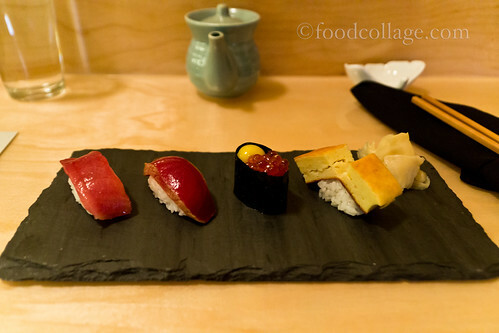 The first course was a Chef's Choice 4 Piece Nigiri, featuring zuke (marinated tuna), maguro (big eyed tuna), ikura (Skuna Bay roe), and tamago (egg). The fish was fresh and the sushi was excellent. 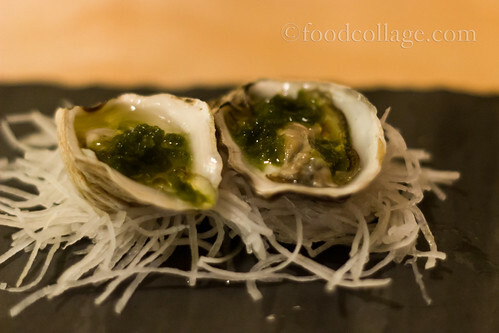 The second course was Kusshi Oysters, with juniper shisho granita, Thai chili, and fresh lemon. This oyster was probably one of the most interesting dishes I've tasted in a while; the flowery juniper flavor is infused in the juices, complimenting the oysters in an unexpectedly delicious way. For my third course, I chose the Tofu, with crispy kale, sambal (a chili sauce), garlic, sesame oil, soy, and katsuobushi (fish flakes). 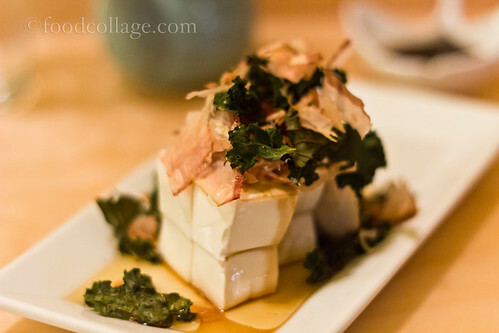 I love tofu, but I have truly never seen anyone make tofu this awesome. 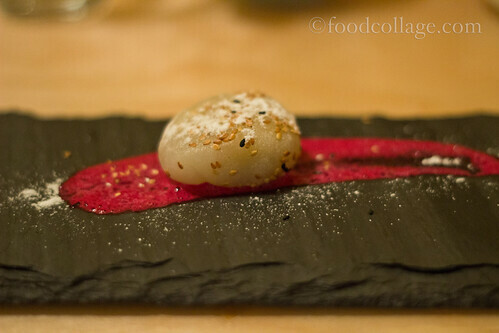 The final course was Kabocha Mochi - a mochi (Japanese rice cake) ball with toasted sesame and beet bubbles. A delightful dessert. It's easy to see why Fukuda has quickly become a favorite of mine. The quality and ingenuity of every carefully crafted dish are leaps and bounds ahead of its competition. 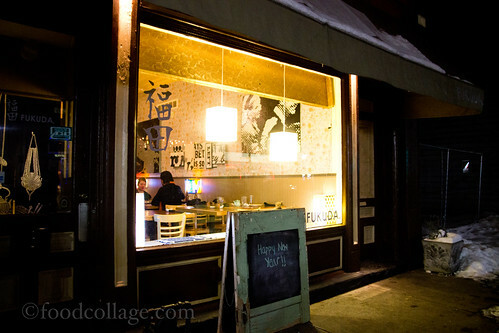 Sure, you can get cheaper Japanese food elsewhere, but I doubt you'll find the same satisfaction as you would at Fukuda. Take my word for it.